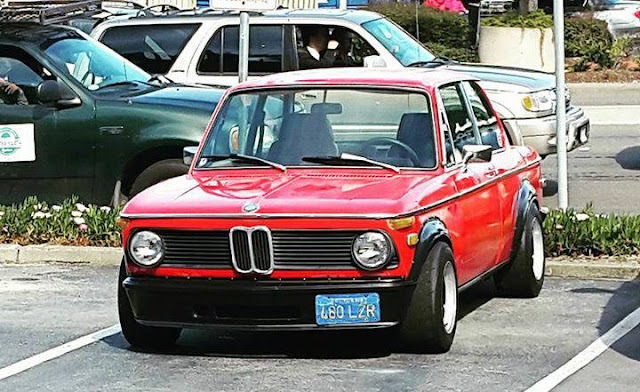 Here is the CL add that got me thinking about this: 1974 BMW 2002.
some credit also goes to that flared Saab sonnet featured a couple weeks ago. Thanks Erik202 -- how do you feel about bolt-on fender flares? Comments below. I've already seen something like that on trucks from the factory but not cars. Flared fenders do serve a real purpose - allowing you to fit wider tires - so I don't see that going away. However, the exact way one achieves that is subject to the whims of fashion. There's bolt on flares, box flares, complete ready made panels with the flares built in, etc. Ugh, glad I'm not alone. That RWB guy came to Nashville recently and had a few of his cars out to the local cars and coffee------they were terrible. Reminded me of a modern day version of the Testarossa kits that every cheesy custom euro car was besmirched with in the late 80's. Can't believe people let him do that to their cars, but then again, I've never gotten the Magnus Walker disciples either. Singer might be the one builder right now who actually seems to be improving the car with their builds. It has gotten out of control. The liberty walk, RWB, ect. I just can't imagine cutting up such expensive and rare cars for a trend. I do however appreciate 510s, 2002s and some other cars used for the track that need larger tires. There is some history behind.